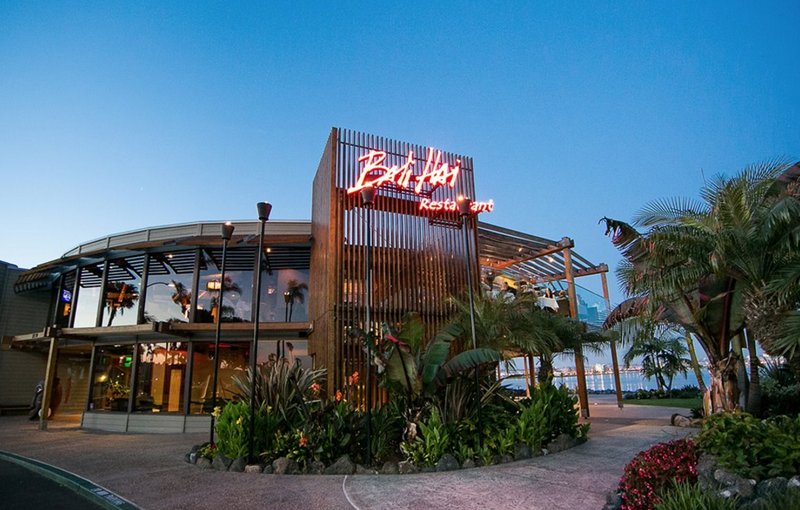 ONE OF THE MANY--Bali Hai Restaurant on Shelter Island/bayside/ [http://www.balihairestaurant.com/ 619.222.1181] will offer American/Hawaiian/Seafood cuisine at prix fixe prices during restaurant week: Lunch $15 per person and Dinner $30 per person. The 13th Annual San Diego Restaurant Week returns Sunday, September 24 thru Sunday, October 1 when more than 180 restaurants will be participating. Take a culinary tour throughout the diverse and thriving food culture of San Diego. For one week only, these participating restaurants will offer three-course prix-fixe dinner menus for $20, $30, $40 or $50 per person and/or two-course prix-fixe lunch menus for $10, $15 or $20 per person. Pick from restaurants from all across the county: South Bay to East County and to the borders of Oceanside and Fallbrook to the North. and touch on all cuisine types and cravings. Choose your friends, choose your restaurant and reconnect on all cuisine types and cravings. Life is delicious during San Diego Restaurant Week!